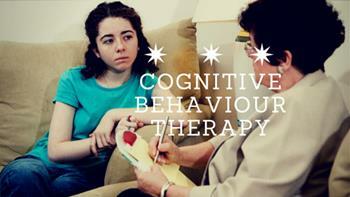 Cognitive Behavioural Therapy (CBT) is a type of ‘talking’ therapy or psychotherapy. CBT is commonly used to treat a range of psychological illness such as Depression, Anxiety and Stress. The aim of CBT is to help people suffering from unwanted thought processes or behaviours to better manage their responses, and to undertake a course of therapy that will lead to a change in the way a patient processes thoughts (cognitive) and/or carries out actions (behavioural). Cognitive Behavioural Therapy is an issue-centred therapy that acknowledges the impact of unwanted and/or irrational thoughts and behaviours on a person’s overall state of mind and wellbeing. CBT can not treat the psychical conditions which might be causing mental illness, and it does not cure the root causes of depression or anxiety. Rather, it helps people to deal with on-going issues or illness in a more positive way, and helps people to change how they perceive, or manage, certain situations that can often be difficult or unpleasant. The CBT therapist at Potentialz Unlimited is highly aware of how feelings, thoughts and actions can be interconnected; and how negative thoughts or actions can leave people feeling like they are trapped in an unmanageable situation. Our CBT therapist strive to help relieve the suffering of her patients by helping them to break down negative cycles bit by bit, into smaller, more manageable thoughts and feelings. By doing this she helps you do identify better patterns of thoughts and behaviours with the goal of improving your overall well being and sense of mental health. relief from the symptoms of many mental illnesses. CBT can also be used to alleviate the suffering of people with long-term health problems, such as Chronic Fatigue Syndrome (CFS) and Irritable Bowl Syndrome (IBS). CBT cannot cure these conditions but it can help suffers manage their symptoms and better cope with their illness. If you have been recommended, or assessed as suitable for Cognitive Behavioural Therapy it is recommended that your visit with a therapist once a week for up to one hour. Depending on each patient, a course of between five and twenty sessions is then recommended.